Jaxon Hats: Every Man, Any Occasion! Featuring a classic herringbone pattern made of a lightweight wool blend, the Jaxon Hats Herringbone Ivy Cap is a dapper addition to any look. 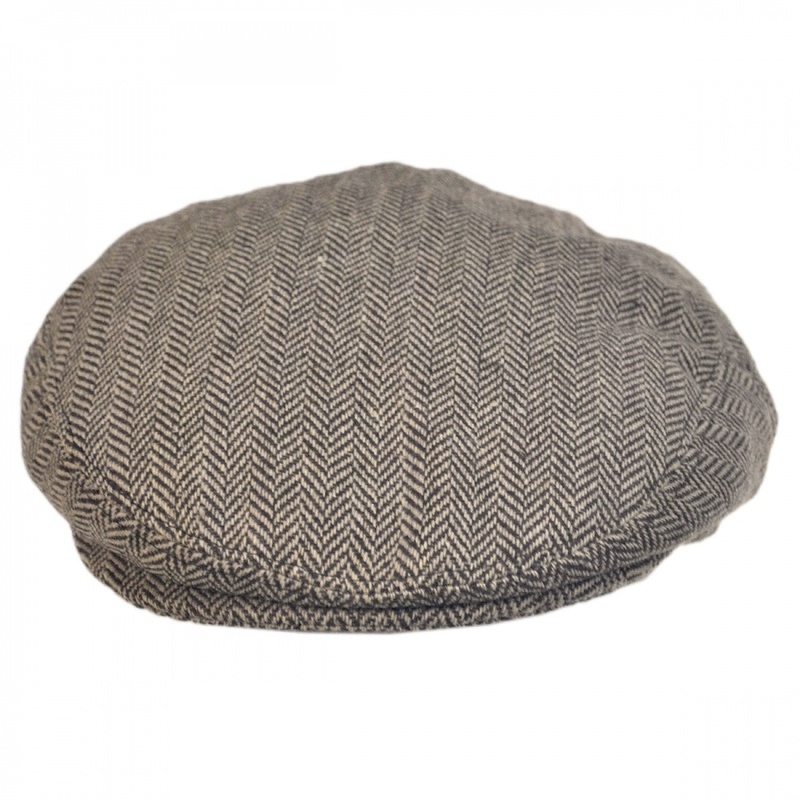 Finished with a satin lining, grosgrain ribbon sweatband and a Jaxon "J" side pin, this ivy cap is available in versatile black or brown herringbone. 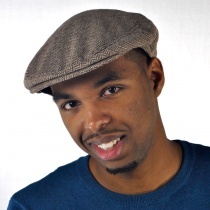 Add timeless style to your wardrobe with the Herringbone Ivy cap by Jaxon Hats! Don't forget to check out our adorable Kids' and Baby versions of this classic style! This is the third one of these Jaxon caps I've bought from Village Hat Shop. 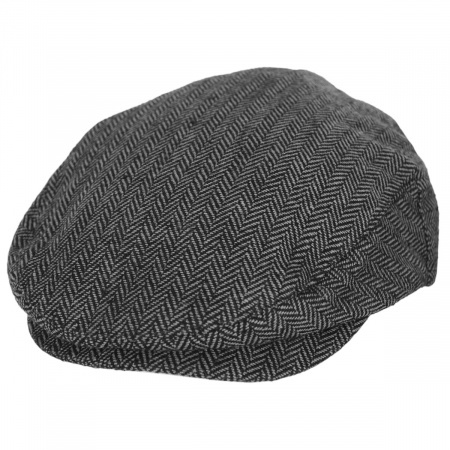 Consistent fit, decent quality, nice light weight for wool blend cap, and reasonably priced. 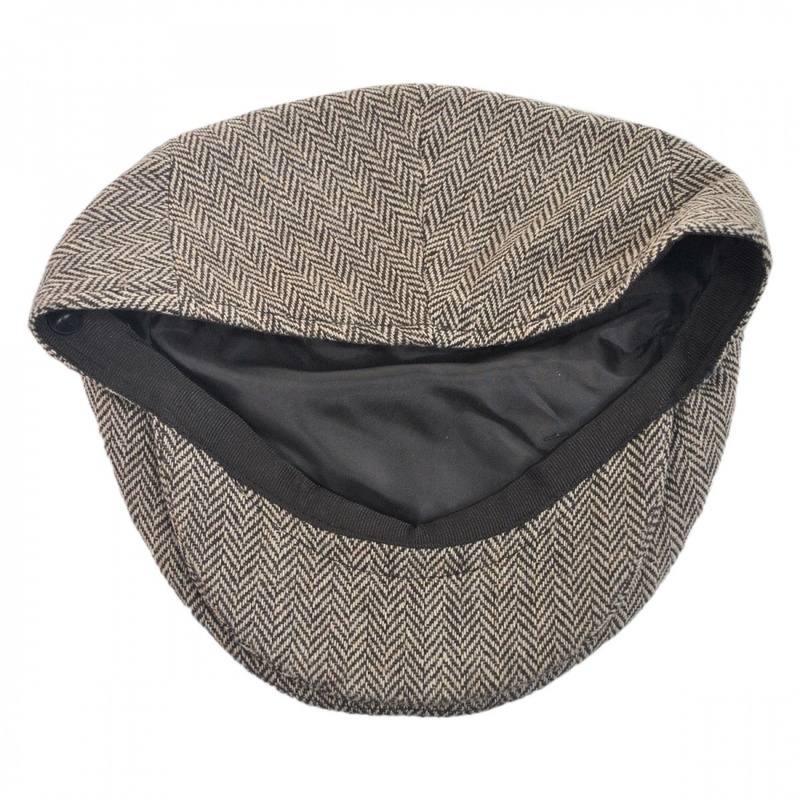 jaxon makes a very nice budget cap, this one is well made, great fit and nice fabric. its light, a 60/40 blend, so go with 100% wool if you want heavy. but for the price you cant go wrong. shipping was a little slow, 6 days. i get all my hats from VHS. Perfect hat with a nice shape that fit my facial features. better fit than some of the other brands. Hat is a little on the big side for me but that is my fault, I guess I did not measure my head properly. Other than that the cap is perfect. This is the first time for me purchasing a hat like this online, just make sure you measure properly and you cannot go wrong with this cap! When I began driving for Uber I felt I needed a cap to complete my ensemble. This fit the bill and I like it so much that I find myself wearing it even when out of livery. This particular cap is surprising in that, despite the obvious quality of its craftsmanship, it is quite cool and light on the head. A good fit, also it's quite stylish yet its age appropriate. Love the cap actually bought the brown. This hat is fantastic - fits great and looks great. It does run a little on the small side. After snagging a newsboy, I decided to get this hat in the tan shade since my newsboy is black/charcoal, and I've never had a 'neutral brown' tone hat. 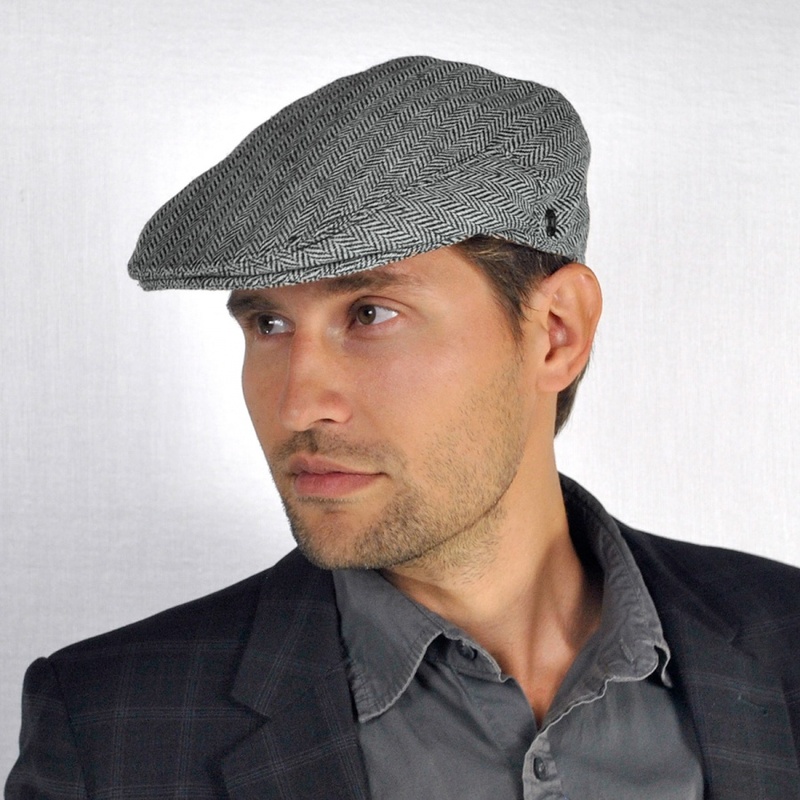 Jaxon quality, fit as expected, and the tan is so subtle there's very little you couldn't wear this hat with. I was a little hesitant purchasing this as it was my first hat purchase online. I measured my head, but discovered that, since I am bald, the hat turned out a little too big for me. And, of course, since I had worn it for a few hours one day, I could not return nor exchange it. Otherwise, the style looks good and the structure doesn't feel cheap. If I had just ordered it one size smaller, I'd be wearing it every day. As it is, I'm looking to find someone to take it off my hands since I had to order a new one. Very good quality for price! Really love the hat and the price was great - shipping was a little steep but overall am very happy with the item. Excellent quality product and great service! My son loves his hat! We looked for a hat like this one around town for about a month. Found one store that carried this type but didn't have any smalls. So we came online to look and found this one. Fits perfectly and it's just what he wanted. Good hat, warm , fits well, received the hat just in time for fall. I like this hat a lot. It has a great fit and a classic look and color. The material is warm, and after this year's winter, warmth was tested! A good one to own. No complaints - looks like the photo, husband loves it, case closed! 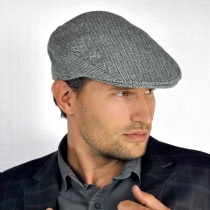 When I started looking for a cap to try a new style it was suggested I try this type of cap. So I started looking around at various sites and came across The Village. Style and presentation are great, allowed me to see exactly what the hat looked like. I didn't want to spend too much until I decided I liked the look, price is excellent. 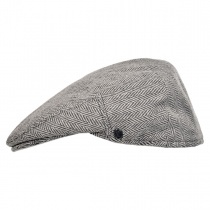 However, I find that the quality of the hat, design, style was quite a surprise for the price. it's perfect, fits well, looks great and keeps my head warm. Love it and will be back again. Jaxon and the Village make a great team. Keep up the good work. Excelent Cap, we all loved it! 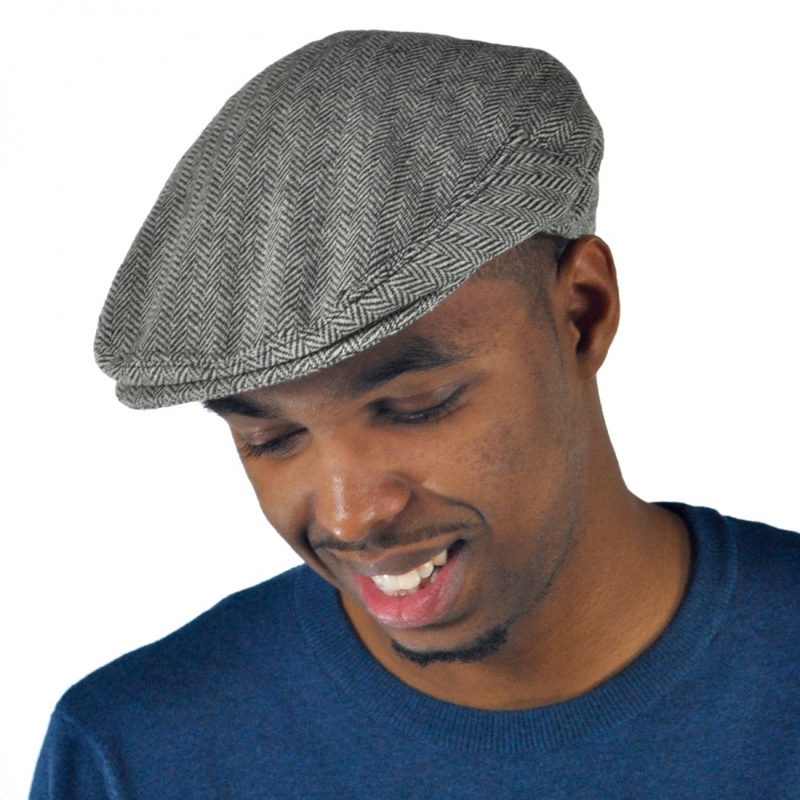 The cap was a great find, after visiting many local stores we decided to search the internet, and we were so pleased to find a great cap at a even greater price, shipping was lightening fast, and the product was better than we expected. Have told many about our happiness with your shop. This is a great hat, I bought one for myself a few years ago and it is one of my favorites. It's true to size and looks great with casual jeans or a night on the town. I just bought one this year as a birthday present for a friend of mine. My guy really, really likes the cap and everyone has told him that it looks great on him, plus it keeps his bald head nice and warm. Great hat, great price. Will purchase more for him. 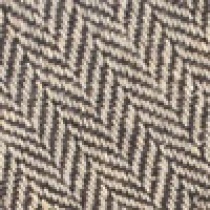 I have about 5 of these ivory herringbone caps in different styles. The color and texture seem to go with any outfit. I wear them on the golf course and they are a very attractive hat for not a lot of money. I worry about spending a lot of money on a hat that is going to get dirty or sweaty and then not being able to clean it. I just spot clean these and if it doesn't clean up, I just replace it with a spare. A Titleist logo ballhat in the Pro shop costs about $26 and doesn't look near as nice as this hat. This is my 2nd purchase from Village hat shop, and both of my hats have been great. The prices have been great, better then anybody else, and both of my hats have been of superb quality. I will buy my hats from no one else from now on. Nobody else comes close to giving me the quality and the price I've received here. Great hat. Looks good, wears well, really nice color. As with my previous purchases from Village Hat Shop, this cap was just what I wanted, no problems at all. my experience with your shop was excellent; the hat arrived within a day and is lovely - I will definitely do business again with your company and also do referrals of your company! 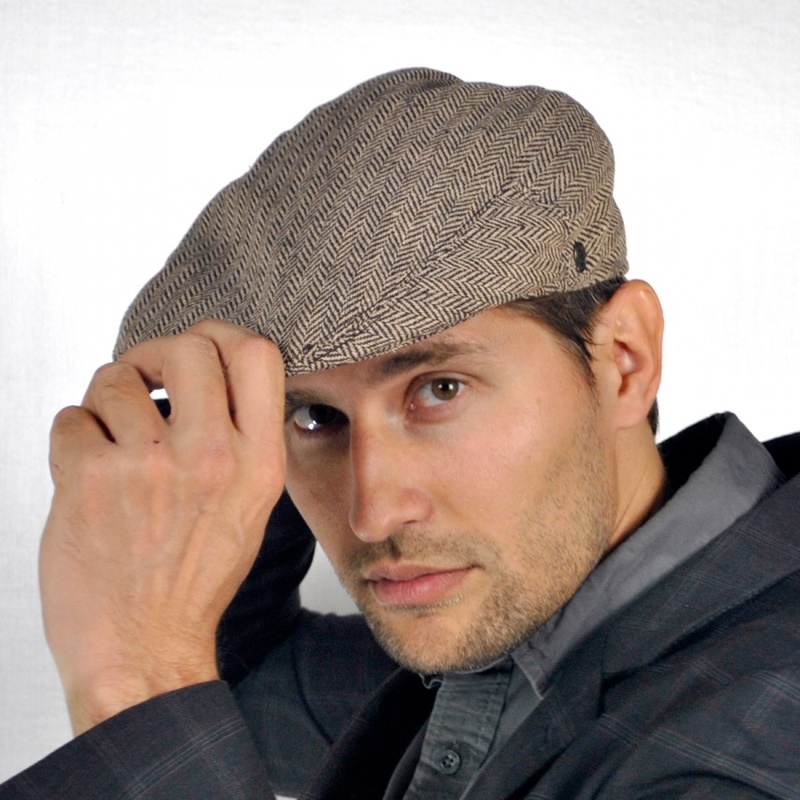 If you want a good-looking cap,I recommendthis particular style! The look is fantastic and you will receive many compliments! I LOVE it! GREAT Cap, fits good and is very comfortable. Just got back from visiting my daughter in Ireland. Wore my hat every day...in Dublin, Galway, Cork. the Cliffs of Moran, Aran Isle, Blarney Castle. Rained almost every day for a week, but the cap was my best protection. Also, didn't hurt to look like a local instead of an American tourist. This hat is exactly like I had hoped it would look! Excellent fit and really nice quality. I'm amazed that I got a hat this nice for such a low price! i love this hat!!! i bought 5 different hats. this is my favorite!!! i may even get lucky with this hat!!! 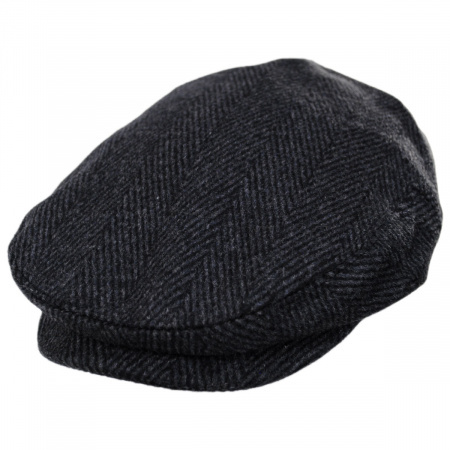 Years ago I had a hat just like this from England, but it was lost. While shopping for a new dressy hat, my wife urged me to buy another just like it. It fits good and looks great. Purchased this hat for my son in XXL. It looks great and we were pleased with the quick shipping! I bought two hats; this Jaxon hat and a very similar one by Hills Hats Ltd of New Zealand (tweed Cheesecutter Ivy Cap - wow, what a name!). I used the hat sizing chart (very handy) and ordered both hats in the same size. The Hills hat fit nicely, this Jaxon hat fell down to my ears. Judging from this experience, I would offer the suggestion that you might determine your needed hat size from the chart and then, if you are buying a Jaxon hat, consider the possibility of ordering one size smaller. 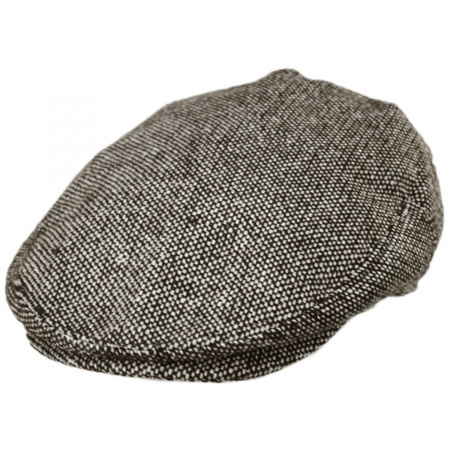 The Hills hat is made from pure wool tweed. The Jaxon hat does not say - so obviously it isn't. Then again the Jaxon hat is only $15 while the Hills hat is $66. They both seem like nice hats. I can't offer an opinion on how they last because I've only had them a short time. But after looking them over carefully, I fully expect both hats to provide good service and be fun to wear. I am pleased with both.I would also like to add that the service provided by Village Hat Shop is just fine. The hat is a great deal. The shipping was fast,the price was fair. I needed a XL for my big head and this one fits great. I bought 2. I wore a hat like this many years ago, but stopped for some reason. When I decided to get another, this is where I came. At such a reasonable price I got one of each (grey and brown - and I'd get a navy one too, if they offered it). I was not disappointed. It's a very nice hat at a very fair price. Purchased for my husband who just loved it. The way it looks, fits, quality, price was all very good. Needed an XL to give as gift. He loved it. Great fit. The added head band adjusters were a nice added bonus! I absolutely love this cap!! 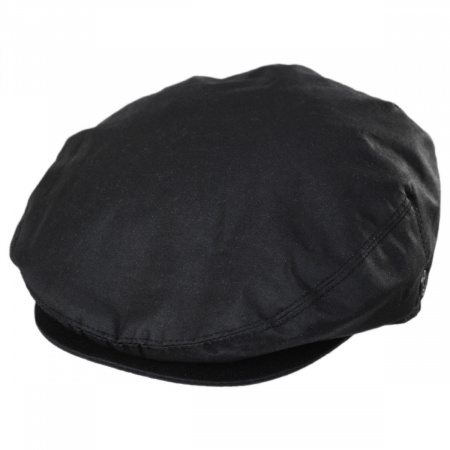 It is very versatile and goes with everything I wear, both formal and leisure, and is very masculine. 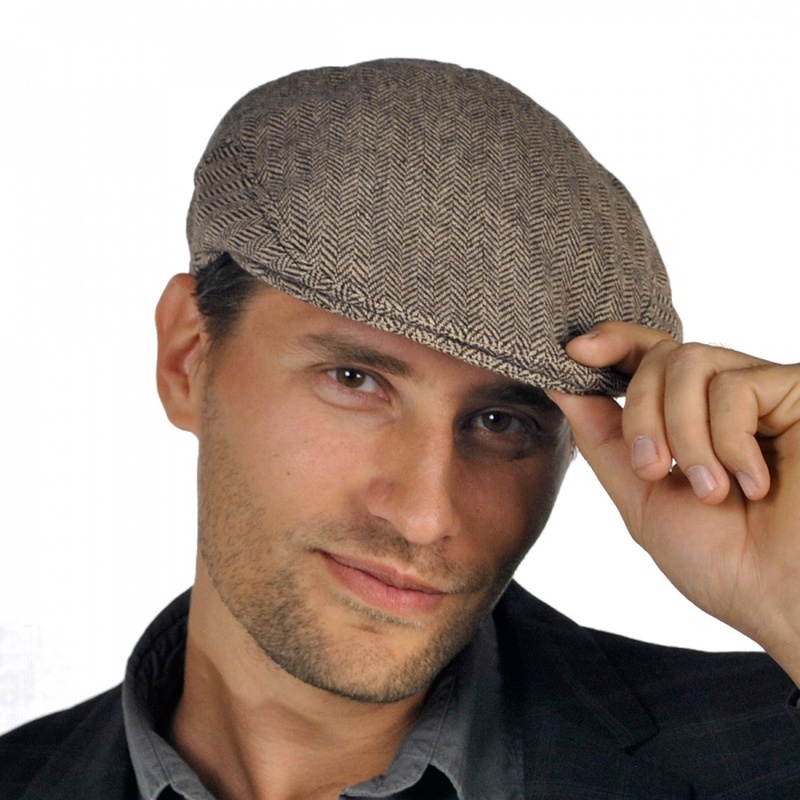 It is a classic, stylish, comfortable cap and I'm personally tired of people asking me about it all the time. It came at a very reasonable price and I highly reccommend it. No more ""Baseball"" caps for me!! This cap is a real adult alternative. I am a house painter. I have worn this hat as a work hat for a few months now. 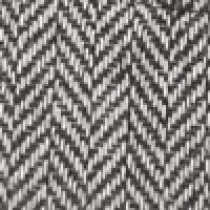 the pattern makes overspray, dust and dirt less noticeable. I love the fit and style. I have a relatively small head and face. a lot of hats are too big for me and make me look like a little kid w/ an oversized hat. this cap suits me very well, though. the quality is very good for the price. highly reccomended. I bought this hat because Village Hat Shop is one of the few online retailers that both sells XXL sized hats and doesn't overcharge you for them. My hat cost less than twenty dollars. For us folks with large heads who can rarely walk into a local retailer and find a hat that fits, this is wonderful. This hat is warm because it's a wool blend. And the best part? It fits.